Enterprise Resource Planning is as much about Human Resource Utilization as anything else. Allocating staff time to a project or a sales pursuit requires developing overarching goals or milestones and enabling staff to achieve complete sections of the milestone autonomously. Managing this process then becomes about encouragement and motivation instead of critical micro-management. The GTP Hub provides for development of your specific service delivery processes to be created. Respective processes should detail critical elements of the Sales or Project lifecycles - eg Sales (eg Prospect client wants meeting - Choose standard meeting preparation checklist) and Projects (eg Client needs to prepare finances for an investment opportunity - What should the client be advised to undertake themselves and what preparation sub-milestones should be delegated to which consultant employees). The system allows a number of different milestones to be set for a project – and for sub-milestones or tasks to be established within each of the main milestones. Responsibility for each of those tasks can be allocated in the system. Project plans can be customised for each individual client. The GTP Hub system allows the project plans to be customised using specially created templates and easy-to-use task management software – and then associated with a defined project so that all client activity can be tracked and completed within a defined framework. You can build a new task list, schedule your tasks, allocate resources and monitor progress. It’s that easy! 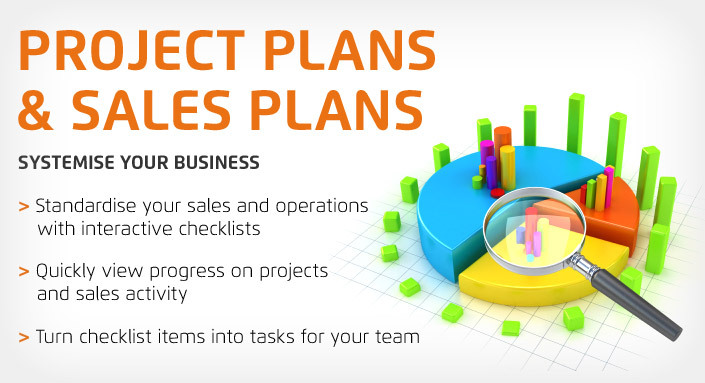 The GTP Hub software can be applied to sales plans too. Simply custom-design a sales plan with milestones and sub-milestones to suit each individual client and track progress against those defined tasks.